Sunshine Stars produced a five-star performance to claim maximize points on the road at ABS, in a match Ilorin fans would never forget. Sunday’s performance compounded the woes of the homes side as they dropped down the log after failing to win their second consecutive match at home following the 1-1 draw with Kano Pillars. It was the first time the Ilorin side will lose this term. Sikiri Alimi’s 48th minute goal and Abiodun Otegbeye’s 54th minute header gave the visitors a 2-0 lead in less than one hour. Interestingly, Otegbeye scored against his former side. ABS fought back to register one goal through Samuel Oyedeji on 62 minutes. 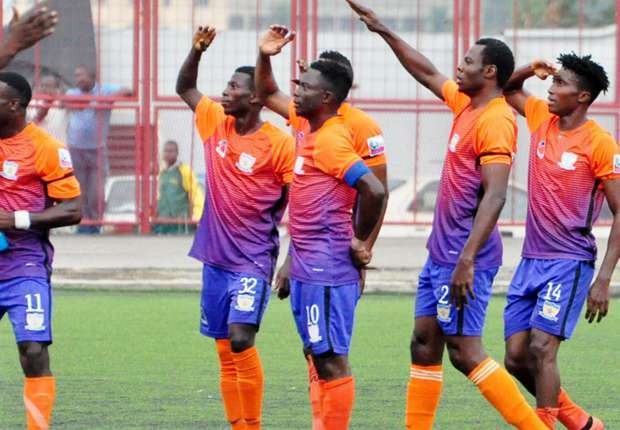 However, Sunshine Stars proved they were in Ilorin for business as Abidoun Joseph made it 3-1 in the 76th minute. Nine minutes later, Ebuka Anaekwe reduced the tally to a respectable scoreline. At a time the home side struggled for a goal to share points at home, substitute Ezekiel Thompson, restored Sunshine’s two goal advantage to give his side a 4-2 victory in front of a shocked partisan home crowd.